Despite being securely entrenched in power and having suppressed all political opposition, the Ba'thist regime that ruled Iraq from 1968 to 2003 still felt the need to engage in a massive rewriting of the nation's history and cultural heritage—in both its high and popular forms. As this book makes clear, the regime's effort to restructure understandings of the past was an attempt to expunge a powerful tendency in the Iraqi nationalist movement that advocated cultural pluralism, political participation, and social justice. 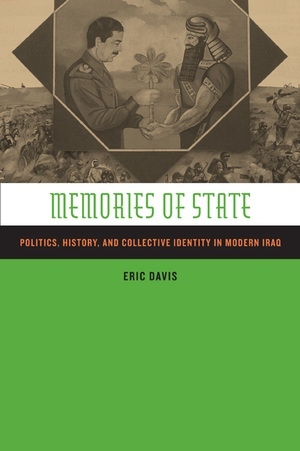 Based on interviews with Iraqi intellectuals under the regime of Saddam Husayn, and with Iraqi expatriates and on publications from Iraq both before and during Ba'thist rule, Memories of State is an eye-opening look at one of the most important and misunderstood countries in the Middle East. This timely study also asks what the possibilities are for promoting civil society and a transition to democratic rule in post-Ba'thist Iraq. Eric Davis is Professor of Political Science and former Director of the Center for Middle Eastern Studies at Rutgers University. He is author of Statecraft in the Middle East: Oil, Historical Memory, and Popular Culture (1991) and Challenging Colonialism: Bank Misr and Egyptian Industrialization, 1920-1941 (1983).